The GOLD series is new wine on old bottles, and we think you're going to love it! You know the concept, but the GOLD series is built with brand new solutions. GOLD is a Dual Mono line stage, with power supply, now available both in balanced and unbalanced version. It is built using fully discrete through-hole components. The circuit is a special dual folded cascode, running pure Class A, with very low natural distortion. 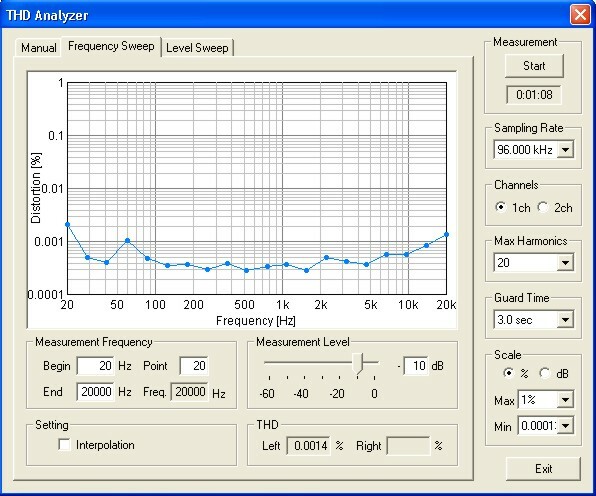 Thus only a small degree of feedback is required (6-12 dB), allowing for both decent technical data and living natural sound. The GOLD line stages can be used in a high end preamplifier or D/A converter. 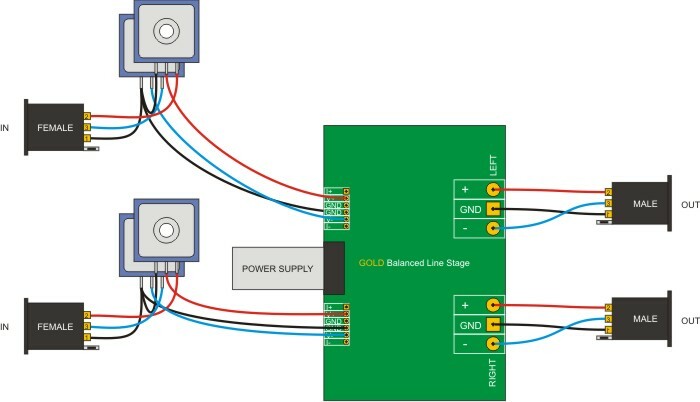 Basic input / output connections to the Balanced GOLD module. 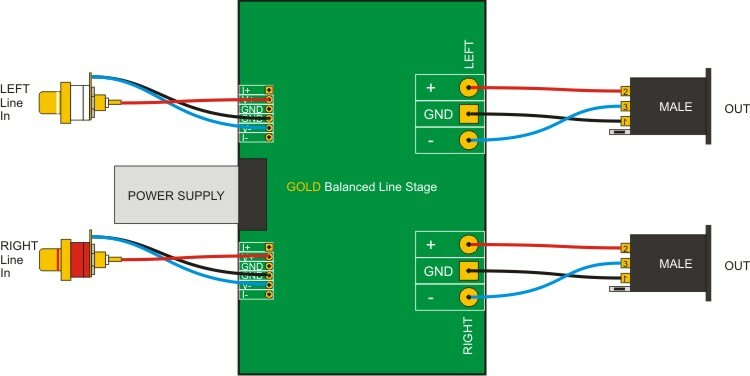 Using the balanced GOLD module to convert unbalanced line signal to true balanced signal. 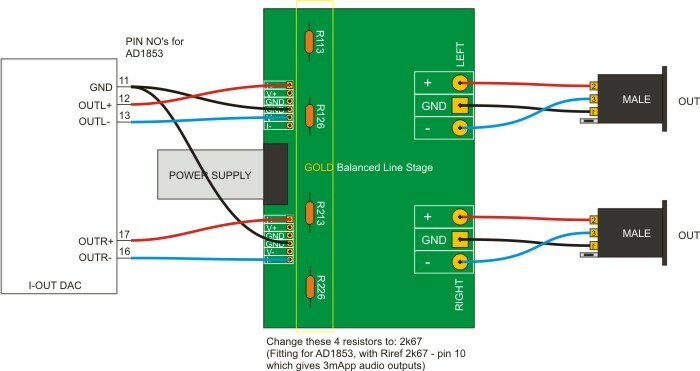 Using the balanced GOLD module to convert balanced line signal to unbalanced signal, including common mode rejection. 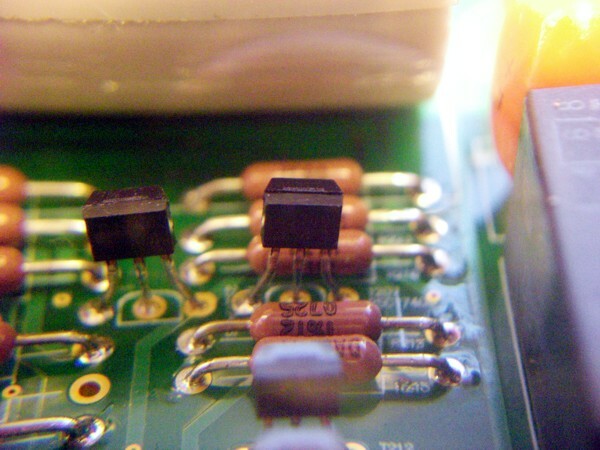 Using the balanced GOLD module as I/V stage for a balanced I-OUT DAC chip (example shown here AD1853). or unbalanced output, if only +OUT is used. 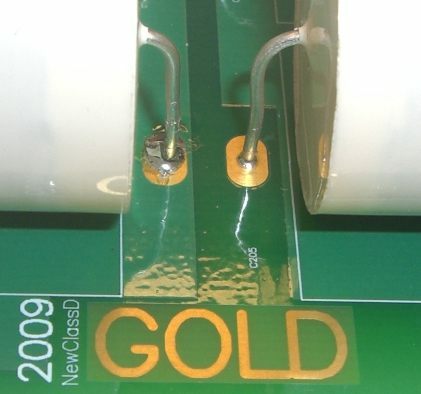 Using the balanced GOLD module as a fully balanced pre-amp with volume control. The sound of this line stage is open, airy, super detailled and nicely relaxed. 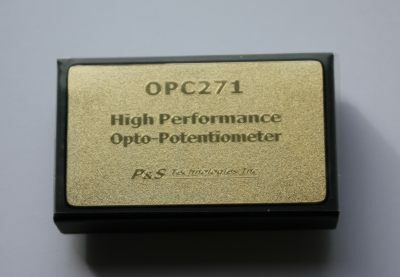 The power supply is equipped with high speed Schottky Diodes, and can optionally be supplied with UWB regulators. (Standard is 7815/7915). 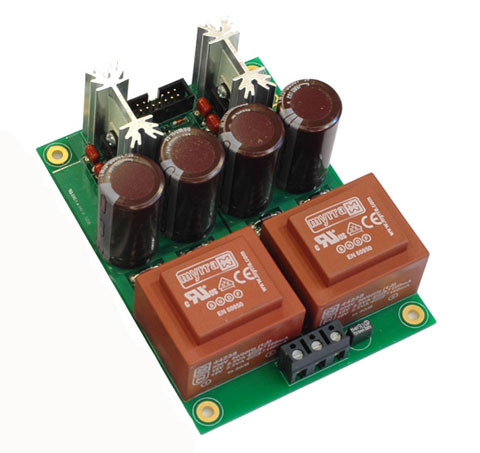 Rail decoupling is performed with 10uF 250V polypropylene capacitors, which are included in this high-end kit. The Audio related resistors are non magnetic types from Dale/Vishay (series CMF55). 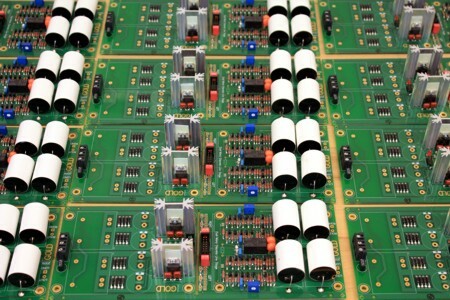 The white PolyCaps 10uF 250V are used as high end powersupply rail decoupling. 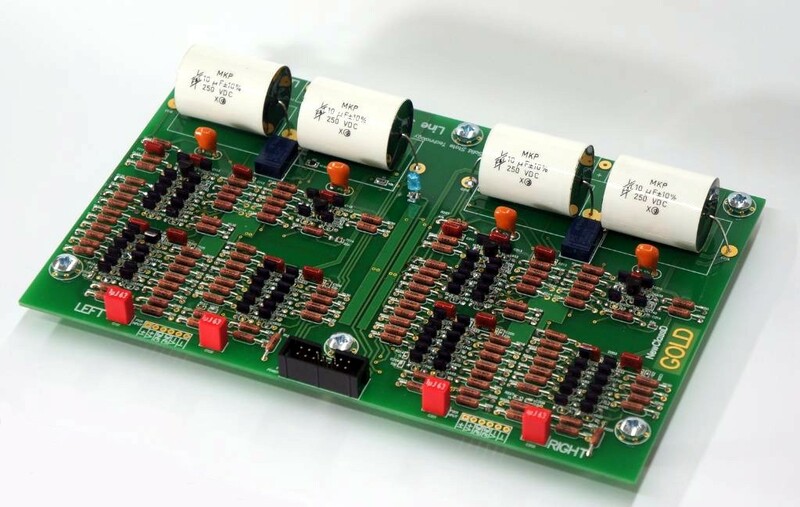 GOLD Balanced version has on board common mode discriminator, so any common mode noise is removed from the signal, even if only unbalanced output is used.